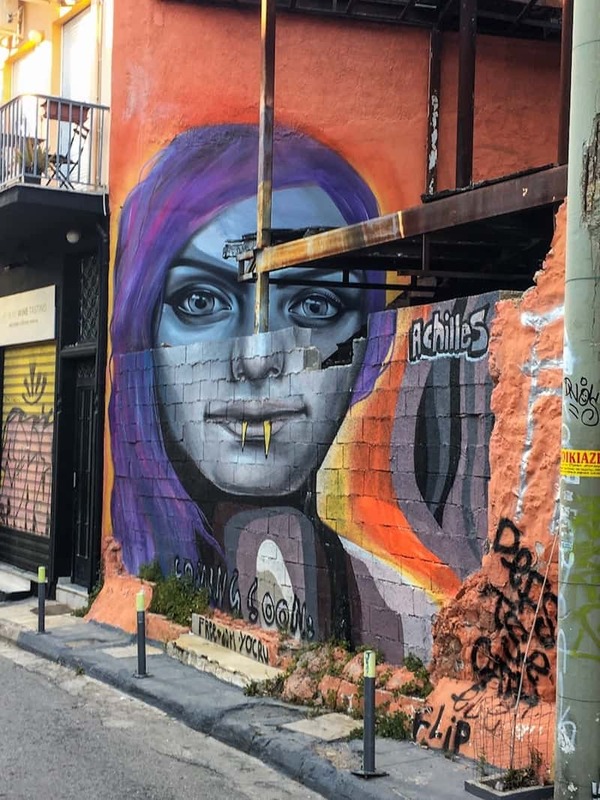 Want to know the best tips for exploring Athens? There’s no better way to get to know a place than to chat with the locals. We check in with Rebecca Hall, an English language teacher turned travel writer, blogger and novelist. After UK life became too cold, she moved to sunny Greece and admits the slightly chaotic nature of the country suites her character really well. 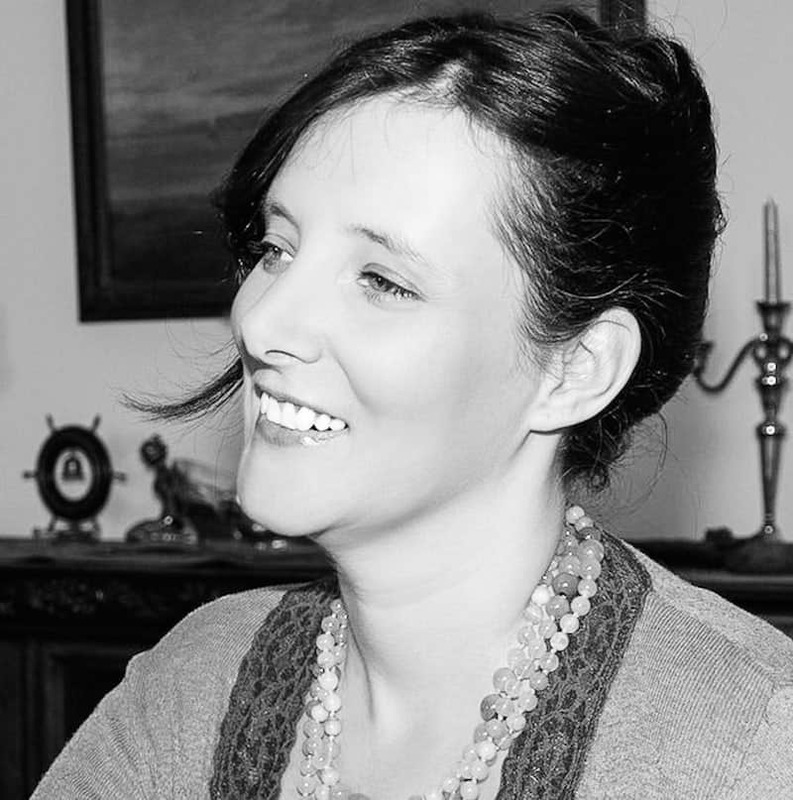 Rebecca writes for various print and online publications (including Telegraph Travel and Rough Guides). Her travel blog Life Beyond Borders tries to encourage others to go beyond the borders of geography and their minds. Her novel Girl Gone Greek, released at the height of the Greek debt crisis in 2015 and is now an award-winning script (2018 Best Feature Fiction Script London Greek Film Festival) and she is working towards getting it produced. Read on to discover Rebecca’s city of sesame rings, sacred trees, and street art . . .
Hi Rebecca! Tell us a bit about your blog. I started Life Beyond Borders in 2010 – initially under a different name – because I wanted a place for family and friends to follow my Greek adventures, but then as the debt crisis continued and Greece started to repeatedly get negative headlines, I wanted to focus on presenting my Greece to a wider public. I wrote (and write) about travels around the country, cultural observations and interviews with other expats. What do you love about Athens? What makes it unique? To me, Athens is like a big village. You step outside your front door in your neighbourhood and people greet you. They wish you a ‘Good Morning’, they ask after you. It’s a real sense of community. I live alone in Athens, but I never feel alone. I don’t know of many other big cities that I’ve felt like that in. What do you miss most about it when you’re not there? This sense of community I spoke about. I love feeling a part of something, yet can also be on my own when I want to. I love that my neighbours like to cook food for me and invite me to family gatherings, yet respect my privacy at the same time. Like a big village, as I said. Where’s your favourite place for a trip to the countryside? Athens is in a ‘bowl, ie: surrounded by three mountains: Mount Immitos, Mount Parnitha and Mount Penteli. Immitos is the nearest one to me and I like to go there to wander through the woodland, to the little churches dotted around there and get the fantastic views from the top – views to the Acropolis, the metropolis of the city below you and as far as the port and nearest islands. A cool fact/story about Athens is . . . In mythology, it is said that Athens is named after the Goddess of Wisdom – Athena. The King of the Gods – Zeus – arranged a contest to name the city and Poseidon, God of the Sea struck down his trident and produced a salt spring, whereas Athena produced an olive tree on the rock of the Acropolis. She won as it was deemed olive trees are givers to the land. In fact, there is an olive tree at the same (reputed) site on the Acropolis, but it’s probably not the same tree. The best view of Athens is from . . .
Head to Areopagus Hill; below the Acropolis, a favourite for locals and best for a sunset view of the city. It’s free to enter and in the myth, the name translates as ‘Ares Rock’. In ancient times it’s said to have functioned as the court for trying murder, wounding and religious matters, as well as arson or harm against olive trees as they’re so sacred. Ares was supposed to have been tried here by the gods for the murder of Poseidon’s son – Halirrhothius. Bring a picnic and a bottle of wine. It’s a great view, but get there early as it does get busy. Athens smells like . . .
A mixture of sunshine on the skin, exhaust fumes and fresh coffee. It’s weirdly comforting! The best thing to have for breakfast in Athens is . . .
Greece isn’t so big on breakfast if I’m honest. Whilst it’s not a rush rush culture, people tend to grab a ‘koulouri’ – a sesame seed bread ring – on the run. 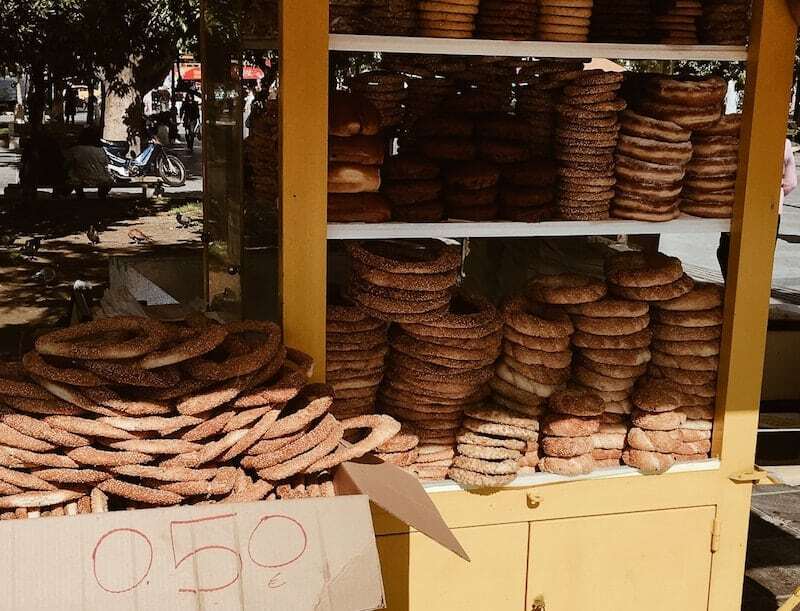 You’ll find bakeries around the capital sell them, but the best place is a koulouri stand – found throughout the capital and also outside Metro stations. A koulouri is filling and surprisingly tasty for such a simple dish. You can also dip it in coffee. If there’s one thing in Athens it’s worth hiring a guide/taking a tour for, it’s . . . Since the crisis, a lot of extremely clever street art and murals have sprung up around previously derelict areas. Politically and socially motivated, you don’t have to be an aficionado to appreciate the craftsmanship…and it is in no way graffiti. I highly suggest a street art tour that several tour companies offer, giving you the history of the area and when it sprung up and the artist. The thing about Athens I wish most tourists knew is . . . It is not a dirty city full of refugees, which many people have commented on and which contributes to the negative headlines. Every city has its ‘dodgy’ areas, but this serves to make it merely more ‘real’ in my opinion. You can’t have a city purely for tourists. Appreciate the city’s uniqueness. Is there a local charity or cause that you’d love visitors to know about? I’m a huge cat fan and there are many stray cats not just in Athens, but in Greece too. But Greece is not a country that has the funds for an RSPCA or Blue Cross equivalent, therefore any ‘charity’ is purely privately funded. Nine Lives Greece is one such charity; a group of volunteers who look after the street cats of Athens by arranging feeding programmes in different neighbourhoods, trapping, neutering and release programmes (many people don’t neuter animals in Greece) and foster and adoption programmes. When I first came to Athens, not knowing how long I’d stay I fostered many cats in my home, until I realised I’d probably be staying long-term, hence I now have two Greek rescue cats. Nine Lives often have bazaars to raise funds and Christmas and Easter parties. Keep an eye on their Facebook page to see if anything is on when you visit. 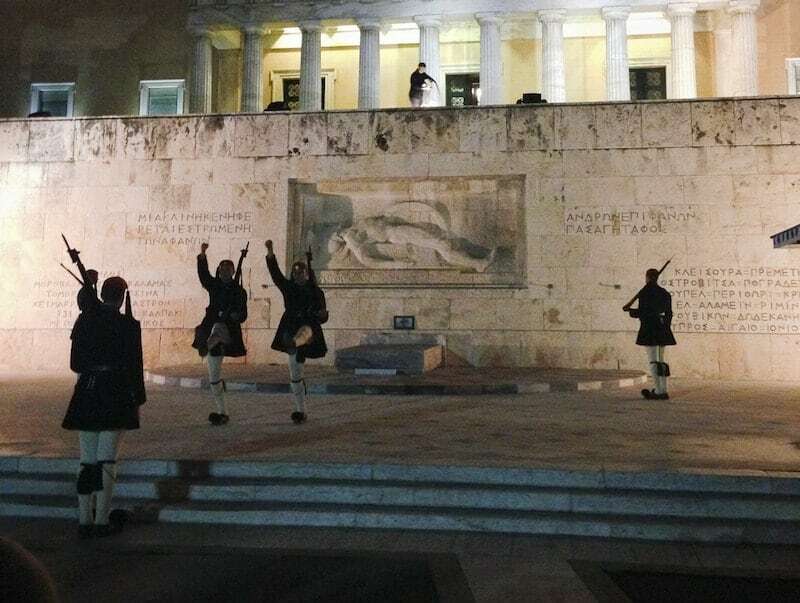 Thanks to Rebecca for sharing her side of Athens. If you’re off to Greece any time soon I highly recommend checking out Life Beyond Borders for tips and tales, as well as her novel Girl Gone Greek (which is a great way to get in the mood for an upcoming trip). You can also follow along with Rebecca on Facebook, Twitter and Instagram.